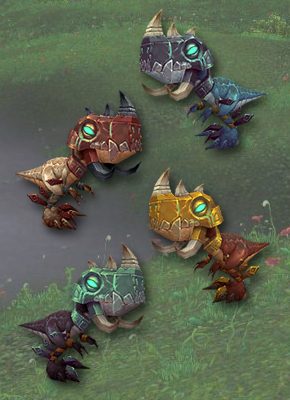 These baby raptors will be joining the previously datamined Zandalari Kneebiter, which brings us to a total of four new raptor pets coming in patch 5.2. Needless to say, these aptly named companions seem to be fixated on our feet and ankles. Watch where you step! With these latest additions, there are now 23 possible new pets coming in patch 5.2. There are also 4 new wild pets to capture! Keep in mind that some companions may not make it into the release of 5.2, but we certainly hope to see all of them in the future.